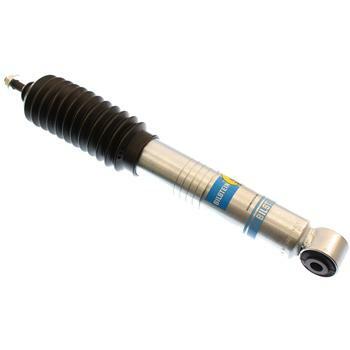 BILSTEIN 5100 Series Shock Absorbers are designed specifically to help your lifted truck, Jeep or SUV reach its pinnacle in ride performance, while supplying the correct tuning and length for your specific lift. BILSTEIN 5100 Series Ride Height Adjustable Shock Absorbers are designed for front coilover style pickup and SUV suspensions. With the use of multiple snap ring grooves to position the spring seat at different heights the vehicles ride height can be changed anywhere between 0-2.5” depending on application.